Blurb: Serena Frome, the beautiful daughter of an Anglican bishop, has a brief affair with an older man during her final year at Cambridge, and finds herself being groomed for the intelligence services. The year is 1972. Britain, confronting economic disaster, is being torn apart by industrial unrest and terrorism and faces its fifth state of emergency. The Cold War has entered a moribund phase, but the fight goes on, especially in the cultural sphere. Serena, a compulsive reader of novels, is sent on a 'secret mission' which brings her into the literary world of Tom Haley, a promising young writer. First she loves his stories, then she begins to love the man. 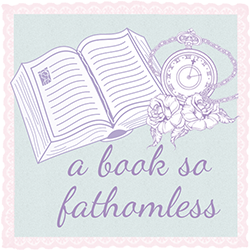 Can she maintain the fiction of her undercover life? And who is inventing whom? To answer these questions, Serena must abandon the first rule of espionage - trust no one. McEwan's mastery dazzles us in this superbly deft and witty story of betrayal and intrigue, love, and the invented self. Review: OH. MY. GOD. 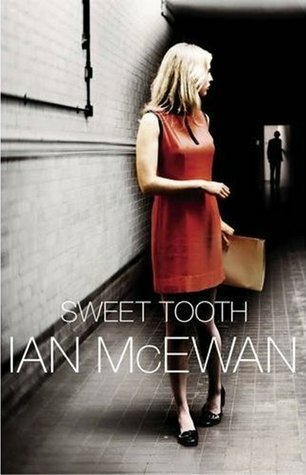 That was my first reaction when I finished reading Sweet Tooth- now I’ve read six of Ian McEwan’s other novels, I’ve studied ‘Atonement’ in extreme detail, but every single time he still manages to absolutely blow my mind into smithereens. Every. Single. Time. From the first page, I was drawn into the world of Serena, and having been told a little about the book by a friend, I was absolutely ready for anything that McEwan could throw at me. I’d read six of his books already- I knew how his slightly twisted mind worked, didn’t I? Short answer- No. As usual, McEwan has done so much research into every aspect of his book that everything seemed to just fit in perfectly despite how strange some of the aspects actually were. Serena was an amazing character- I really enjoyed being able to see the world through her eyes. I definitely liked her character more than I liked that of Briony Tallis from ‘Atonement’, but then again that is exactly how McEwan wanted it to be. (He’s a crafty one, you see). The story itself is amazing- what kind of person doesn’t want to read about spies, especially spies mixed in with Literature- how could you possibly get better than that. One little thing I really liked were the subtle references to his other books- I managed to pick up on some words and situations he used in his other books and I even happened to notice the word ‘atone’ once or twice (cue fangirling). Knowing McEwan, this was probably done on purpose, but it made me feel incredibly intelligent for having noticed these things, like I was in a secret ‘McEwan inner circle’ or something. If you haven’t read anything of McEwan’s- which I’ve noticed seems to be some sort of trend or something, you really should. I assure you that the books will eat away at your mind and you’ll probably hate him and all of his cleverness all the way through the book until you reach the last page at which point he will probably smash you heart into such little pieces that you’ll vow to never touch another one of his books, but then you’ll end going back for more. Do yourself a favour, read McEwan.